PARIS — The California-based band Eagles of Death Metal was playing their song “Kiss the Devil” at the moment that three terrorists stormed a Paris theater Friday and began opening fire, reports state. Video footage also shows the band ducking and running as the loud pop of gunfire rang out in the middle of the song. 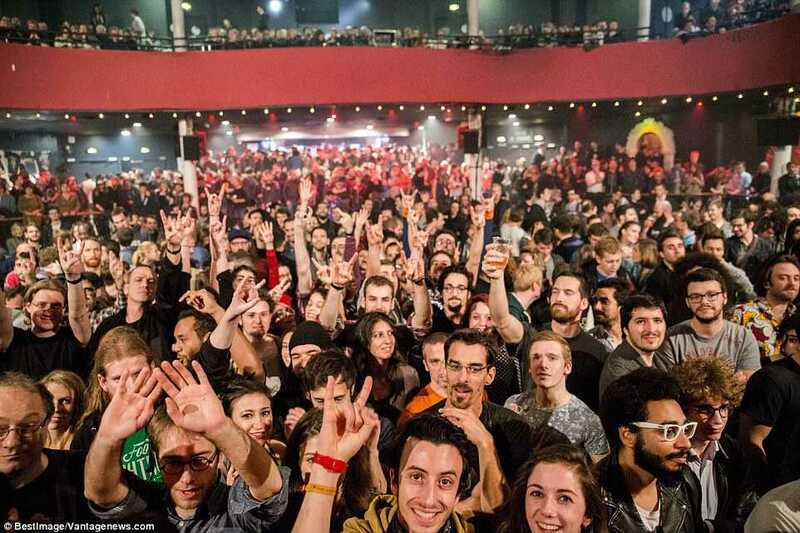 As previously reported, among several locations that were targeted on Friday night was Le Bataclan arts center, where Eagles of Death Metal was playing before a crowd of approximately 1000 people. Witnesses state that they heard one of the four attackers yell “Allahu Akbar” and another declare “This is for Syria!” before indiscriminately shooting at members of the audience. While the band was able to escape out the backstage door, their merchandise manager, Nick Alexander, was killed. 88 concert-goers lost their lives as well and hundreds of others were injured. Witnesses state that three of the gunmen blew themselves up and the fourth was shot dead by police. Over 130 people were murdered in the multi-site attacks Friday night—counting the deaths that occurred at hospitals over the weekend—with the majority of the deaths being from Le Bataclan. Blogger and street preacher Goeffry Grider commented on the matter on Monday, expressing concern about the eternal destiny of those who were singing and dancing to “Kiss the Devil” moments before they lost their lives.